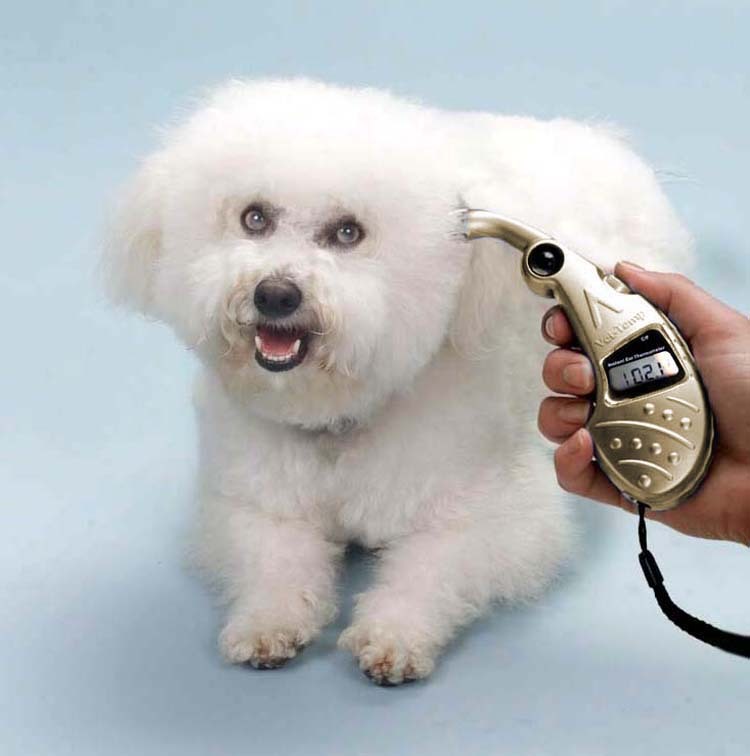 The Vet-Temp® professional model ear thermometer is designed for high volume use in a veterinary clinic. It is the only ear thermometer designed exclusively for use on companion animals. 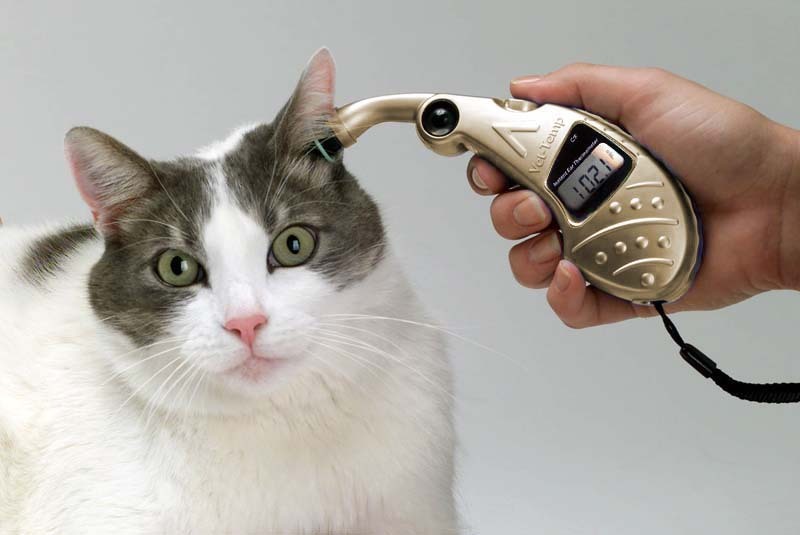 By measuring infrared heat waves emanated from an animal’s eardrum region, the Vet-Temp provides an accurate reading of core body temperature in one second. 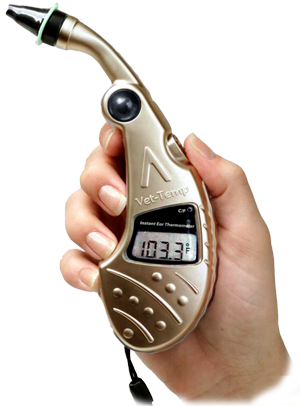 Purchase a Vet-Temp today and see why thousands of veterinarians use these fast and accurate thermometers every day. By measuring infrared heat waves emanated from an animal’s eardrum region, the Vet-Temp provides an accurate reading of core body temperature in one second. For veterinary clinics still measuring temperatures rectally, switching to the Vet-Temp can result in significant time and cost savings. Purchase a Vet-Temp thermometer today and discover for yourself why it is used in thousands of veterinary clinics worldwide. A $360.00 value for only $239.00! 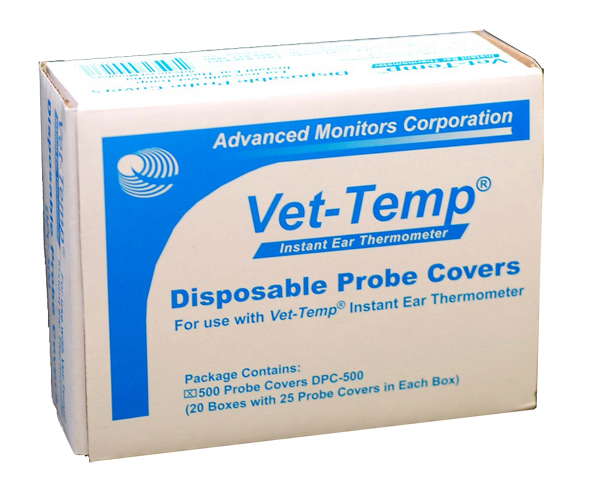 The Vet-Temp Ear Thermometer has been designed to work in conjunction with a disposable probe cover. A new, clean probe cover should be used for every temperature measurement to insure an accurate temperature reading and to prevent damaging the thermometer lens. © 2018 Advanced Monitors Corporation. All rights reserved.